Adding lockout personnel's photo and other details is easy. 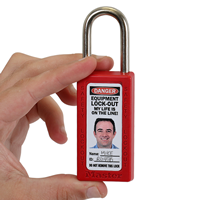 This Equipment Locked Out Padlock Label can be sealed with a protective flap for greater durability. 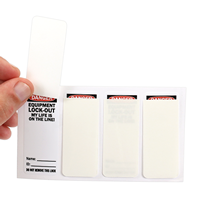 • 2.375" x 0.972" label fits perfectly on Master Lock No. 411 Zenex.